During the production of SG iron, the selection of raw materials and control of chemical composition are most important. From the very early days of SG iron production, the effects of trace elements on graphite form and matrix structure have been studied, and the allowable concentration limits for their detrimental influence has been decreased year by year, during the last fifty years. 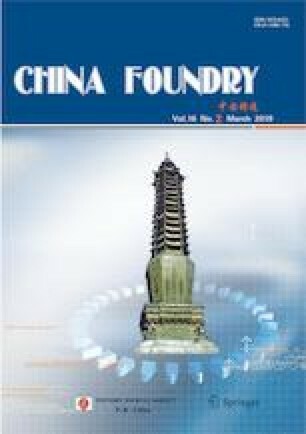 This paper has reviewed some of the suggested SG iron trace elements in the literature and in several Chinese foundries. It was found that for most SG iron castings, rare earth elements are still required to neutralize the harmful effects of trace elements and improve SG iron quality. It also found that the use of high purity and ultra-high purity base iron melts enabled integrated, safety-critical and complicated SG iron castings of varying thickness, and heavy-section, to be produced successfully. These SG iron castings have surprisingly good structures, and their mechanical and dynamic properties are vastly superior to those specified in current international SG iron standards. Further study is required on the effects of using high purity and ultra-high purity base melts on the structure and properties of SG iron. Jia-xin Bai Female, born in 1986, Ph.D candidate. Her researches mainly focus on high purity and ultra high purity pig iron and their applications in high demand SG iron castings.